Republic of Ireland boss Martin O'Neill has cut his squad to 27 players for the decisive Euro 2016 qualifiers against Germany and Poland. 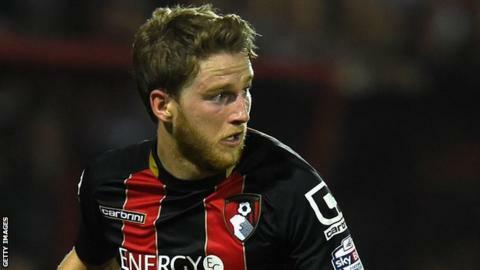 The revised squad includes two uncapped players - Bournemouth midfielder Eunan O'Kane and Alan Judge of Brentford. Stephen Quinn, Harry Arter and Ciaran Clark are injured while Marc Wilson is having treatment for a calf problem. The Republic are at home to Germany on Thursday, 8 October and finish the campaign in Warsaw three days later. They could yet secure a top-two finish - and with it automatic qualification - but a place in the play-offs is a likelier outcome. Scotland, their nearest rivals, host Poland in their penultimate match before an away game against Gibraltar. Everton defender Seamus Coleman remains a fitness concern with an ongoing hamstring problem. The squad will assemble on Sunday evening and will train at the FAI's new National Training Centre in Abbotstown, west Dublin, on Monday. Republic of Ireland: David Forde (Millwall), Shay Given (Stoke City), Darren Randolph (West Ham United), Richard Keogh (Derby County), Seamus Coleman (Everton), Cyrus Christie (Derby County), John O'Shea (Sunderland), Alex Pearce (Derby County), Paul McShane (Reading), Stephen Ward (Burnley), Robbie Brady (Norwich City), Marc Wilson (Stoke City), James McCarthy (Everton), Jeff Hendrick (Derby County), Glenn Whelan (Stoke City), Aiden McGeady (Everton), James McClean (West Bromwich Albion), Alan Judge (Brentford), David Meyler (Hull City), Wes Hoolahan (Norwich City), Eunan O'Kane (Bournemouth), Robbie Keane (LA Galaxy), Shane Long (Southampton), Daryl Murphy (Ipswich Town), Jonathan Walters (Stoke City).